Sixteen-year-old July MacKenzie can hardly recognize her own life anymore. A few months ago, she was enjoying her urban lifestyle in Vancouver, going to school, hanging out with the same old friends she'd had for years. Now, when she steps out her back door, the only evidence of human existence she sees is an empty road, stretching off in the distance to ... nowhere. It all happened so fast! Her mom was killed in a hit and run accident, and before she knew it Marie, her other parent, had sold the house, packed up and moved them out into the Interior. How could she leave everything behind like that? July could never make new friends. She'd never get used to the dark nights of the countryside. And she'd never, ever, stop missing her birth mom as long as she lived! But then July meets the boy down the road. Surprised to find herself falling in love and making friends at school, she starts to see the possibility of building a new life. But mysterious events soon make it clear that her new world is still very connected to her past. 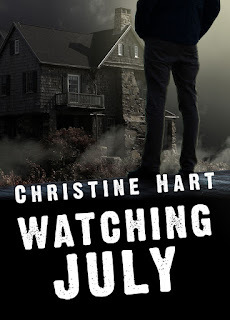 When it is revealed that her mother's death was not what it seemed, July must face some shocking discoveries that quickly gain a momentum that spirals out of control. 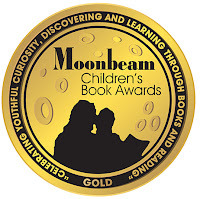 "... Hart’s novel delivers an engaging story about the strong bond between mother and daughter. Her writing depicts the denial a person can have towards dark teenage relationships, and how a once happily-ever-after, can become a controlling lost future." ... Watching July also leans into the alterna-punk scene, making the protagonist a lovesick revolutionary ... A very good novel, worth the short but sweet read ... "
"... the descriptive flowing style of the work invites the reader right into the life of July MacKenzie ... a cunningly written book, with strong and vivid characters, plot twists and turns."